Exterior wall leaks can lead to water and mold damage in Trinity structures. 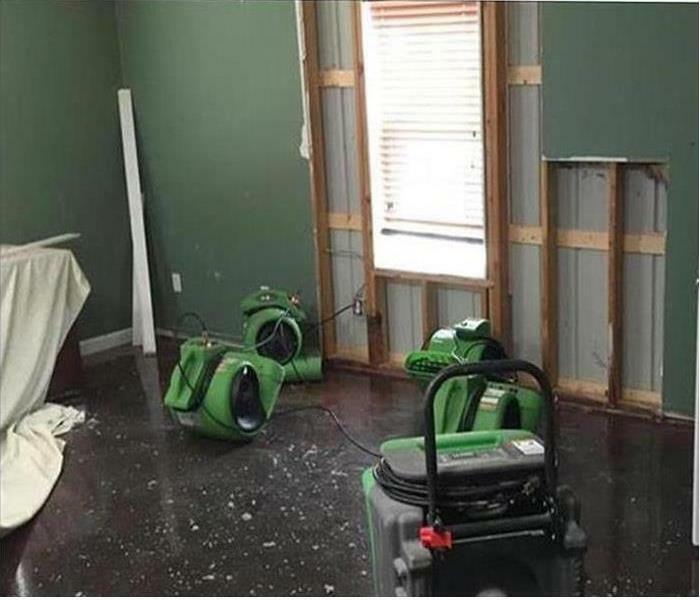 Locals rely on SERVPRO to remediate the mold damage, discard safely and cleanly the mold-infested materials, and make it "Like it never even happened." 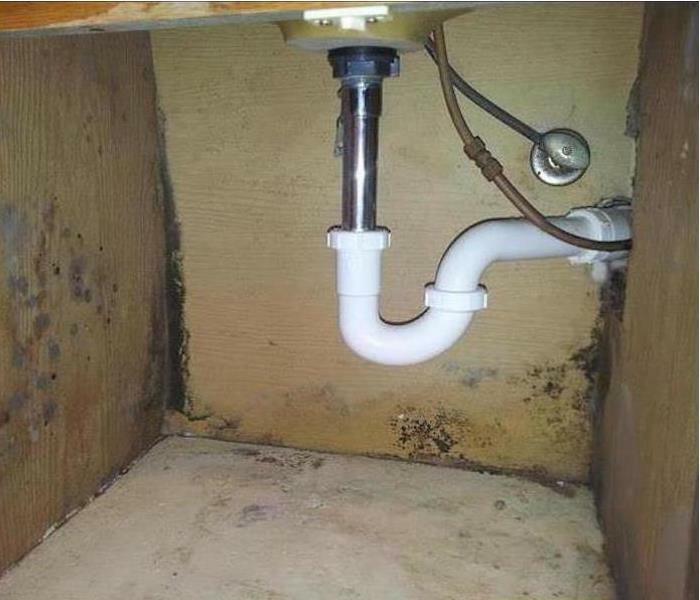 Water damage was a result of a plumbing failure in this Tarpon Springs home. As the photo shows, the cabinetry would need to be moved to repair the source of the water damage and to dry the now wet building components. 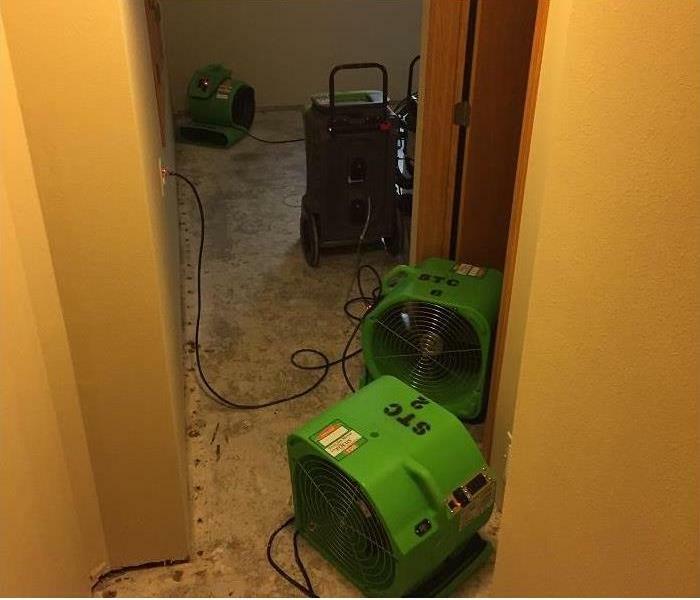 SERVPRO of Tarpon stat of the art air movers and dehumidifiers can be seen in the photo also. Locals in the Innisbrook area rely on SERVPRO after a fire has damaged their residences. 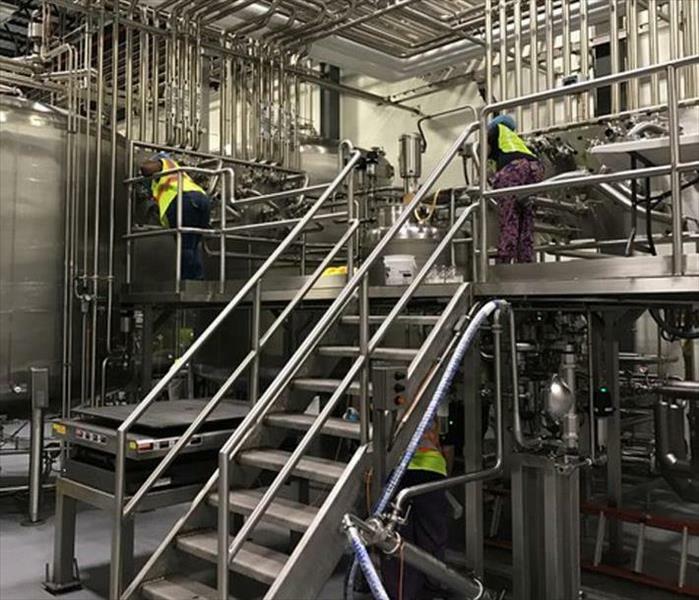 They understand that skilled technicians, arriving with industry-leading equipment and products, can make them feel "Like it never even happened." Fire? Call us; we have the solutions. 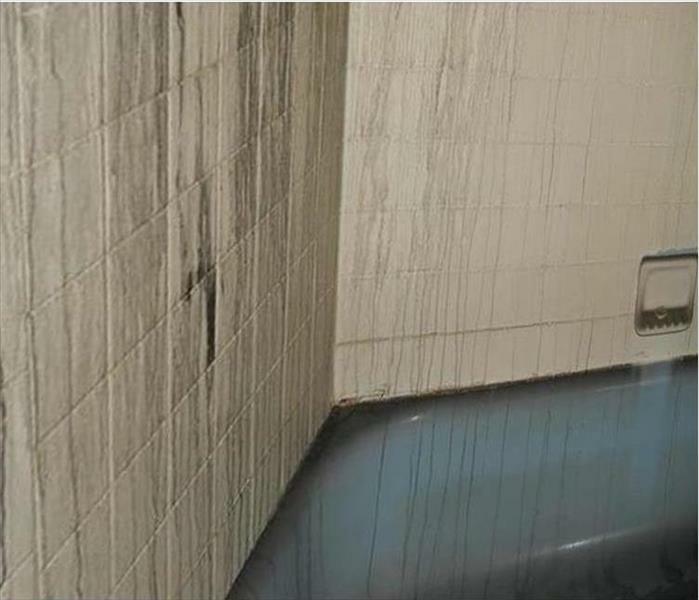 Drain pipes can leak causing water damage in Trinity condos. This leak shows the paint blistering and staining the wall in this utility closet. SERVPRO techs can seal the leak, remove the damaged paint layers, prime and then repaint the wall. We can make our customer feel "Like it never even happened." 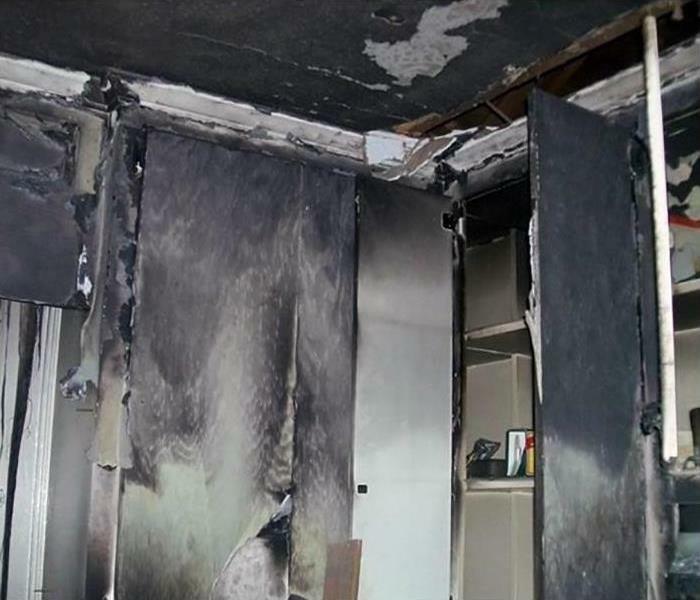 A professional restoration company like SERVPRO is required when it comes to dealing with fire damage. Our personnel is available 24/7 and will arrive at your home quickly. 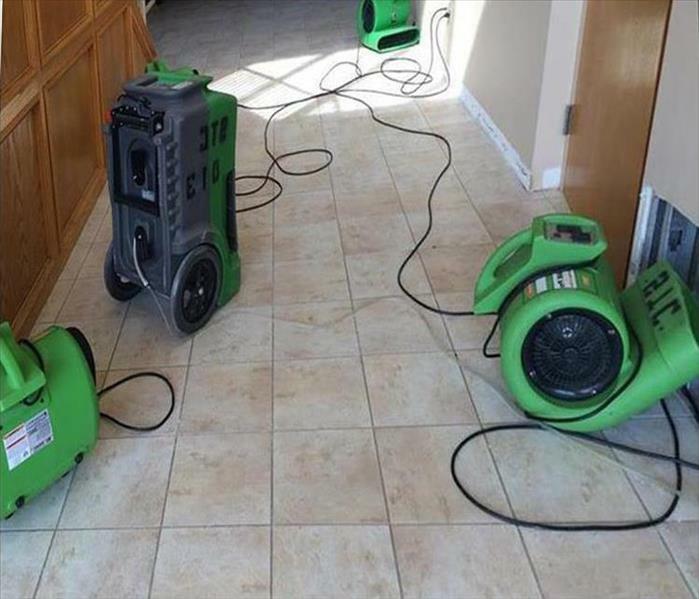 SERVPRO of Tarpon has the equipment, training, and experience to restore your home to pre-damage condition. Mold damage at this Tarpon Springs home was found on the second floor. When faced with extensive mold growth the technicians of SERVPRO of Tarpon set up equipment which will suction the mold spores from the interior of the house to the exterior of the house. The set up pictured avoids contaminating any previously unaffected areas of the house. After groundwater from a storm breaches the lower level of a structure in Trinity the need for cleanup and restoration is very real. 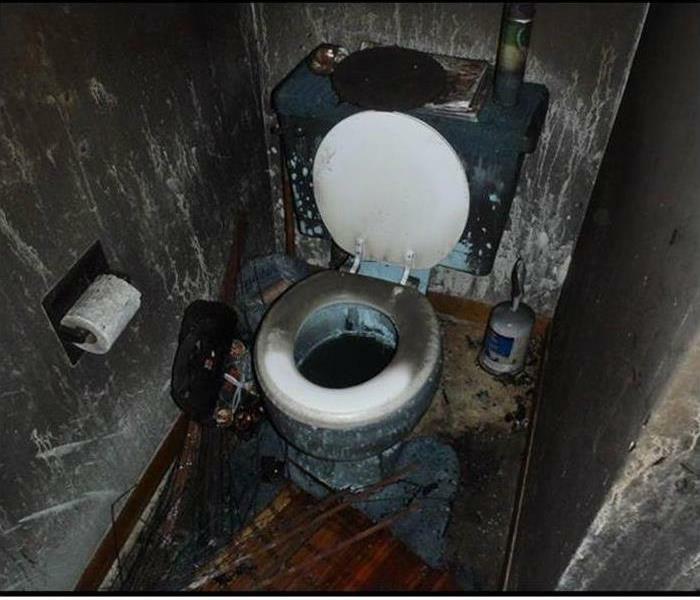 SERVPRO can provide required demolition and disinfection to this type of incident. The experience and equipment can quickly restore order. 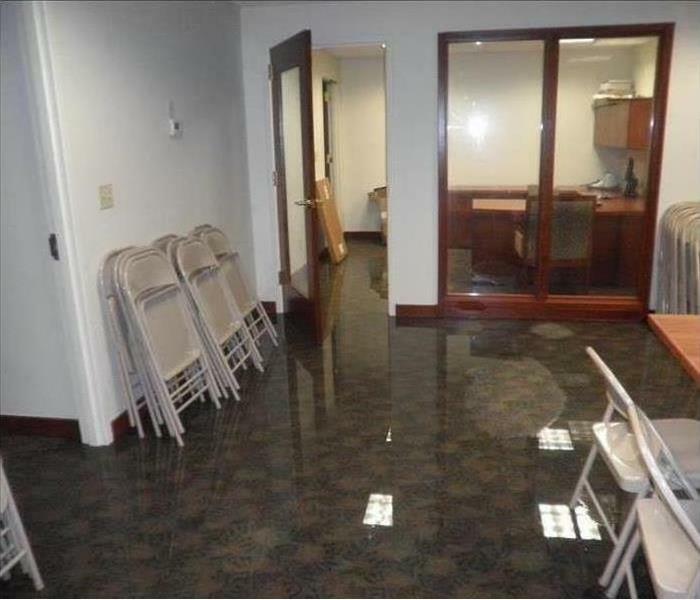 Commercial water damage to this Tarpon Springs office was the result of a broken water supply line. The commercial grade carpeting was saturated and had standing water. Upon arrival, our trained technicians would assess the damages and then begin the water cleanup process. The crew would extract the water using wet-vacs and a riding rover to clean up the water. Then they would position commercial air movers and dehumidifiers to aid in the drying process. 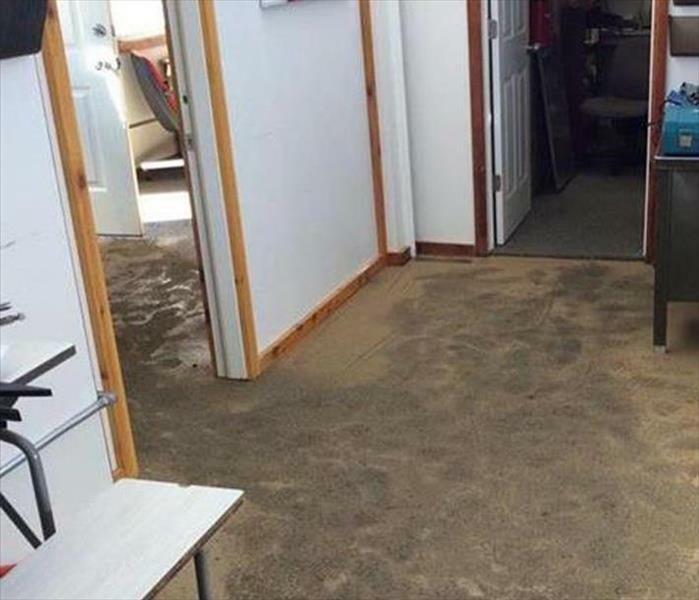 Quite often when a small amount of water disrupts an office in Tarpon Springs or any other place, the staff take it upon themselves to clean up the mess. The result can be more damage than good. Call SERVPRO for a rapid professionally cleaned office with minimal disruption. 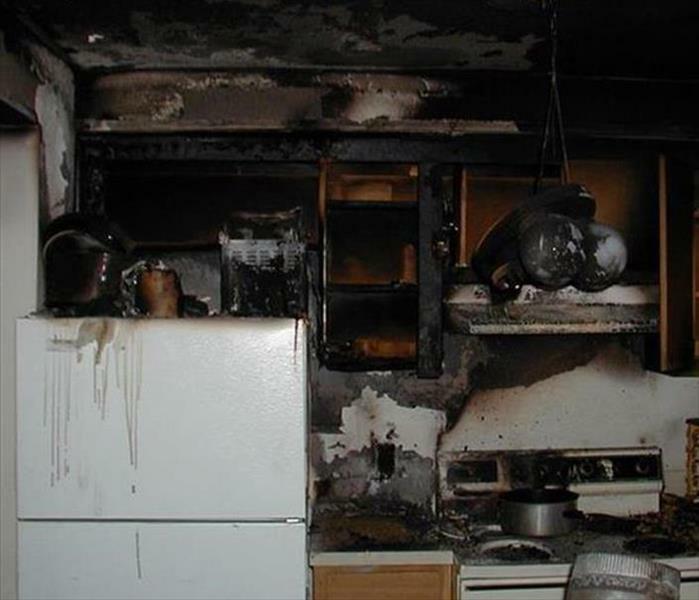 A flash grease fire in an Innisbrook kitchen can result it this messy fire damage scenario needing some serious cleanup. 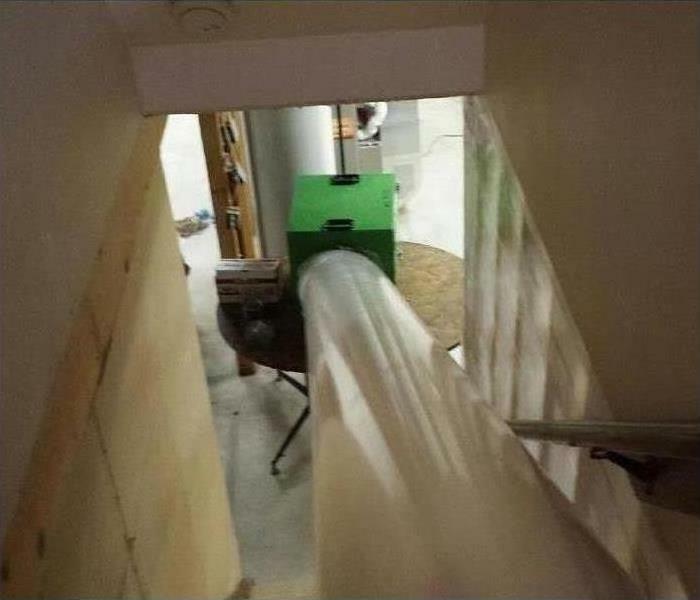 SERVPRO has FST technicians that can show up, clean up, and even remove the smoky odors. Call us for help. The water from a leak has broken through the ceiling sheetrock in this Innisbrook home causing the damage shown in this photo. SERVPRO can evaluate the damage, source of the water intrusion, and complete a restoration process. It just takes one call to us for help. After a storm hits, your first call needs to be to SERVPRO. The cornerstone of our business is storm and flooding damage restoration. Our team of highly trained and certified specialist can restore your property to pre-damage condition using specialized equipment and techniques. We're Faster to Any Size Disaster! The most stressful and frightening incident a homeowner can experience is discovering a mold colony growing in their home. Since mold can spread within 48-72 hours, you need to contact our team at SERVPRO immediately after finding mold. We have the training and expertise to handle any size mold infestation. 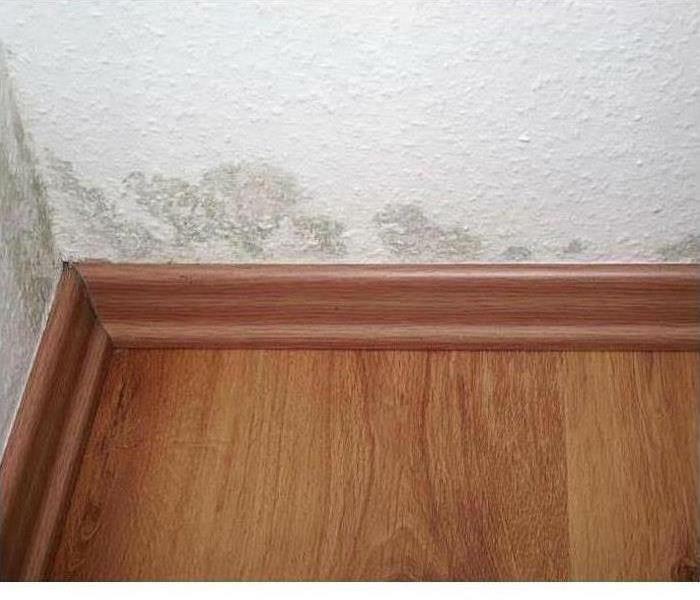 Contact our specialists today for any mold issues you might have. 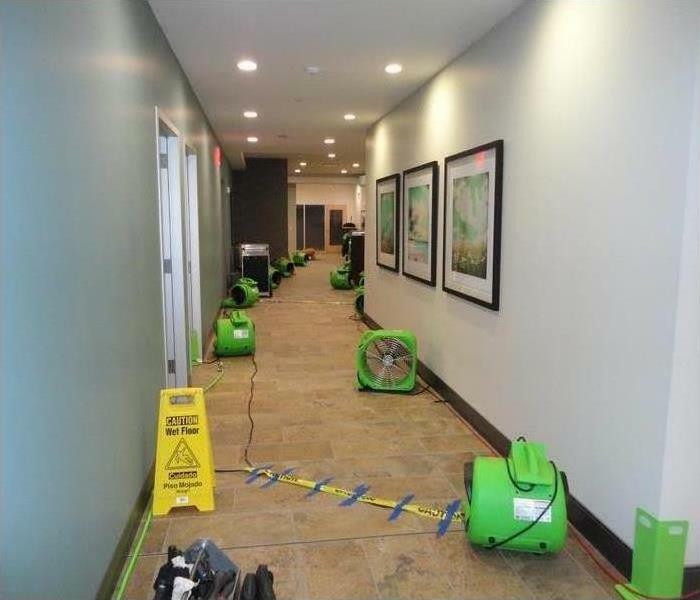 If an office in Tarpon Springs suffers an unwanted water leak, SERVPRO can arrive quickly to vacuum out the liquid. The remaining moisture can be eliminated with the use of dehumidifiers and air movers. 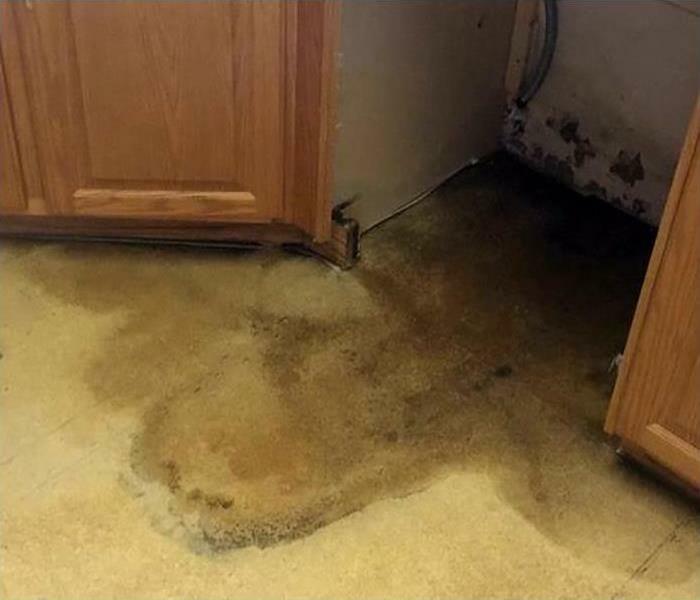 Water intrusion, caused by a tropical storm, flooded the carpet flooring of this condo in Innisbrook. 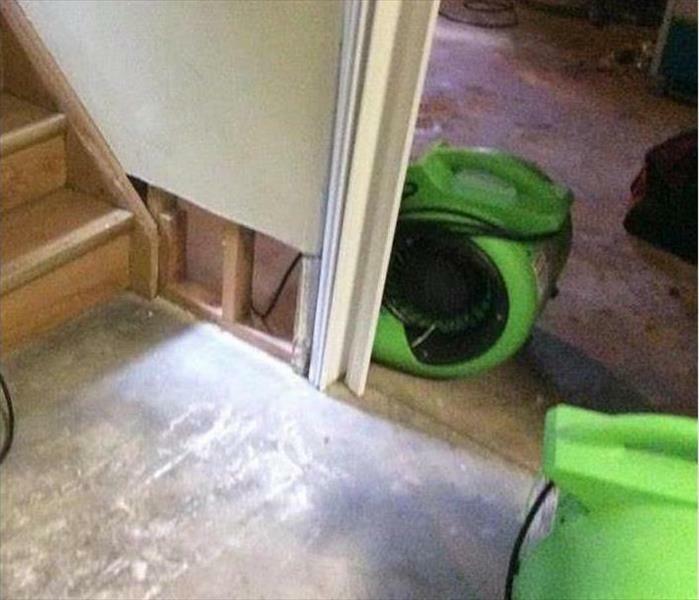 SERVPRO can place many drying devices to limit the amount of water damage. Of course, the non-salvageable materials must be discarded. 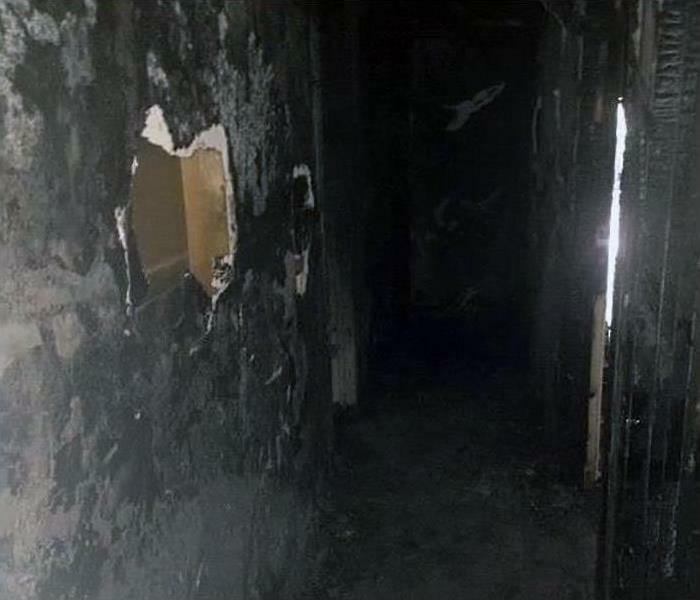 The cosmetics ignited from the curling iron along with towels, and a large, messy smoke-filled bathroom was the result. 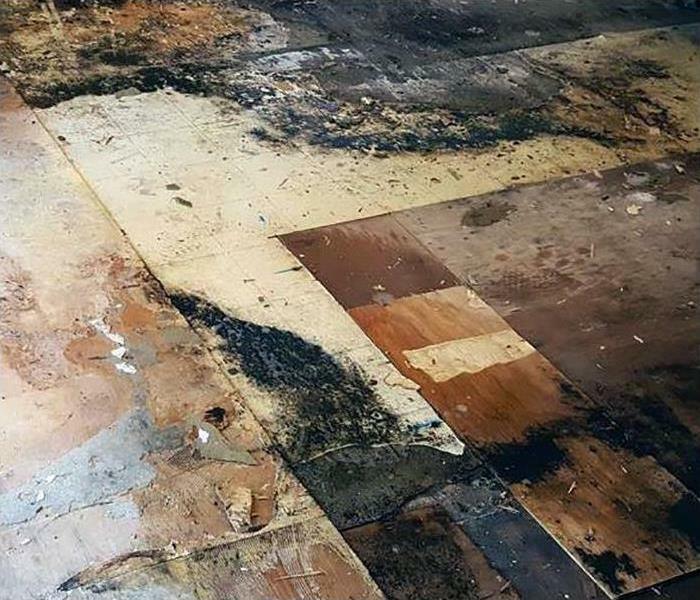 By calling in a professional fire-damage restoration company like SERVPRO, the cleanup is faster, and the stains and odors are mitigated. Mold damage at this Tarpon Springs home grew all the way through the drywall. 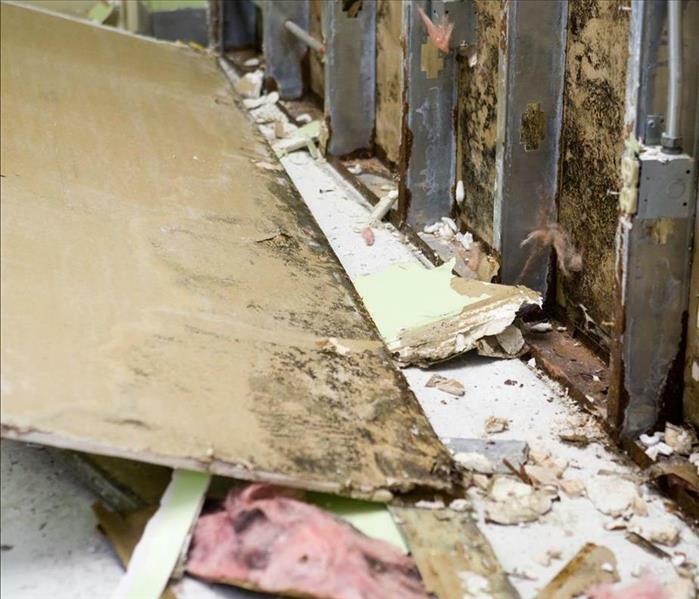 When our technicians encounter this condition, they would remove the drywall on both sides of the affected area so they could clean up all of the mold within the walls. Next, they would dry the area with commercial air movers and dehumidifiers. When dry they would then treat the entire area with an antimicrobial agent to inhibit any future mold growth. 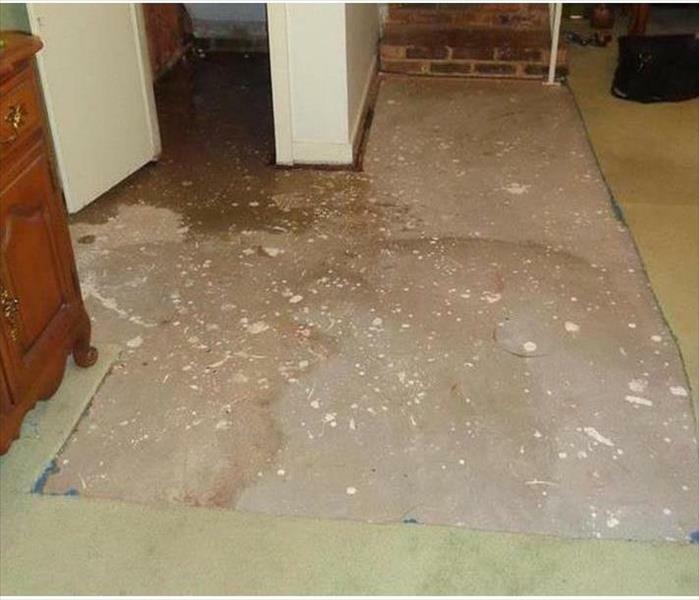 By responding to a call to help with a damaging water leak in Innisbrook swiftly, SERVPRO technicians managed to salvage the carpet and the padding. 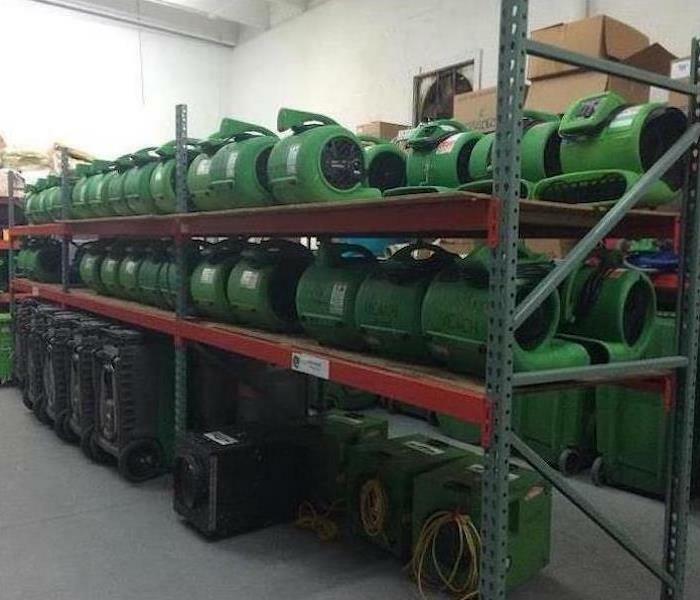 Many air movers and LGR dehumidifiers, part of our large inventory of equipment, got the job done right. 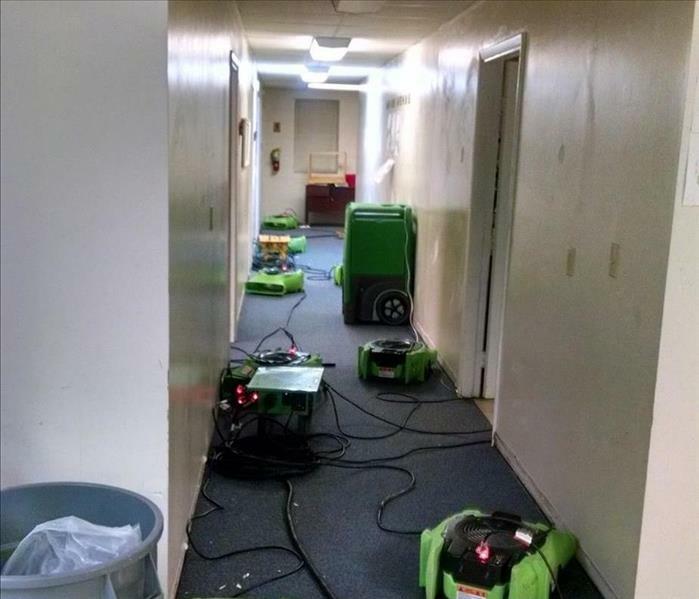 Commercial water damage at this Tarpon Springs office brought SERVPRO of Tarpon to the site. 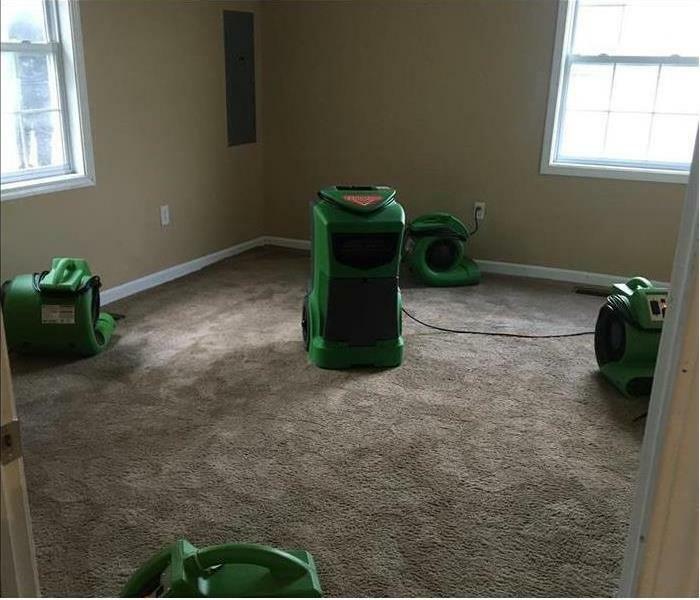 We cleaned up the standing water and set up the commercial air movers and dehumidifiers shown to aid in the drying process. Storm damage in Tarpon Springs sometimes knocks out conventional power sources requiring SERVPRO of Tarpon to bring their own power to operate the sophisticated equipment required for storm damage restoration. 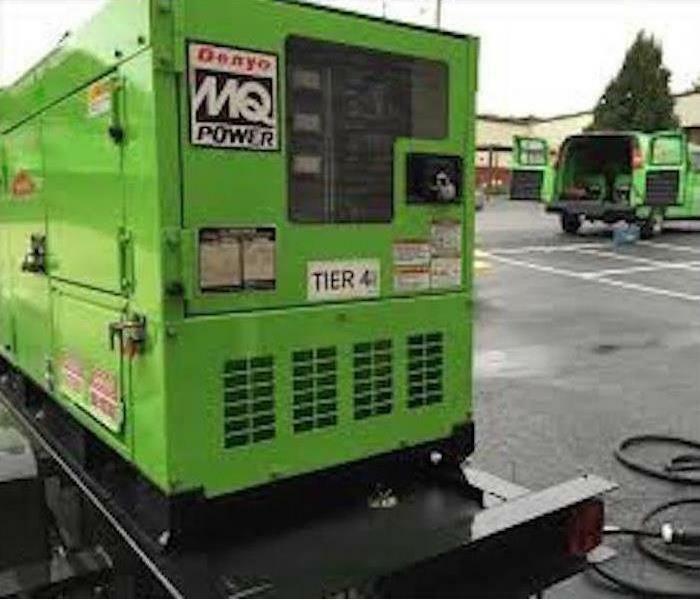 Pictured is a very large portable commercial generator. Black mold damage in this Tarpon Springs home is pictured being cleaned up with the most sophisticated equipment and procedures available. This mold infestation began with water damage as so many instances of mold damage do. When moisture and darkness are combined mold colonies can develop in two to three days. 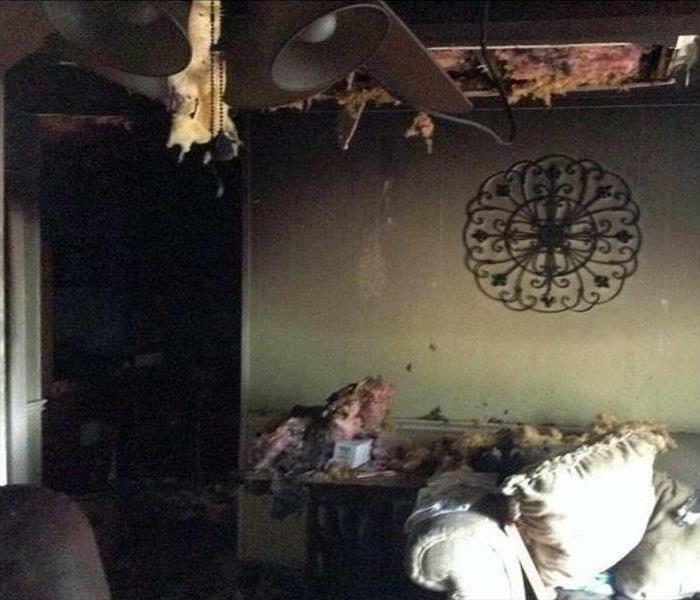 The hairdryer caused a fire that burned towels and lotions in this Tarpon Springs rental unit. The visible oily soot residue was wiped away with SERVPRO formulated cleaning detergents and sponges. The smoke and odors had to be cleaned out of the exhaust venting system to complete this job properly. The broken line in the wall of this Trinity home resulted in a demolition to remove the water damaged drywall. The dehumidifiers and air movers note the one directed into the wall cavity, quickly dried out the affected areas. Fast service reduced damage and costs to the owner. When flooding occurs from intruding groundwater, this picture denotes what action may be needed. 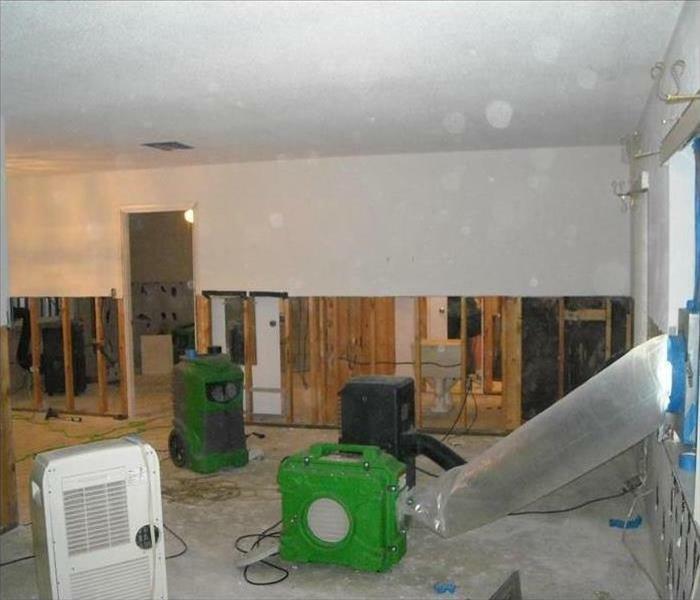 In Tarpon Springs, slab foundations and drywall can equally be affected by standing water. 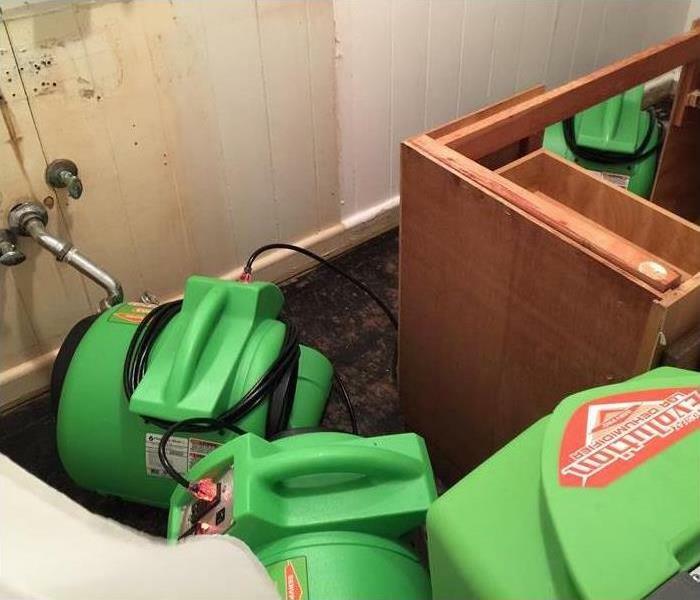 Using industrial grade equipment, SERVPRO technicians can remove the water and dry out the damaged materials. 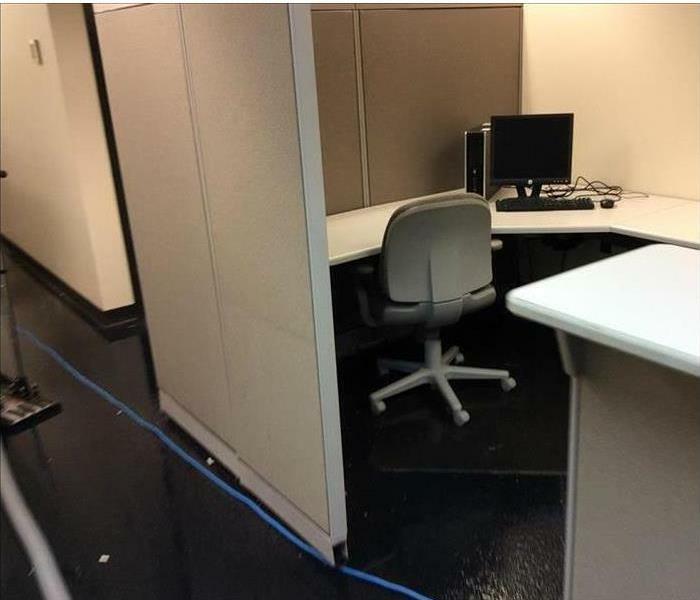 The cubicles in this Tarpon administrative office were drenched from a broken water line. The use of industry leading water extraction equipment and skilled IICRC trained technicians mitigate damages to the office furniture. We're Faster To Any Size Disaster. 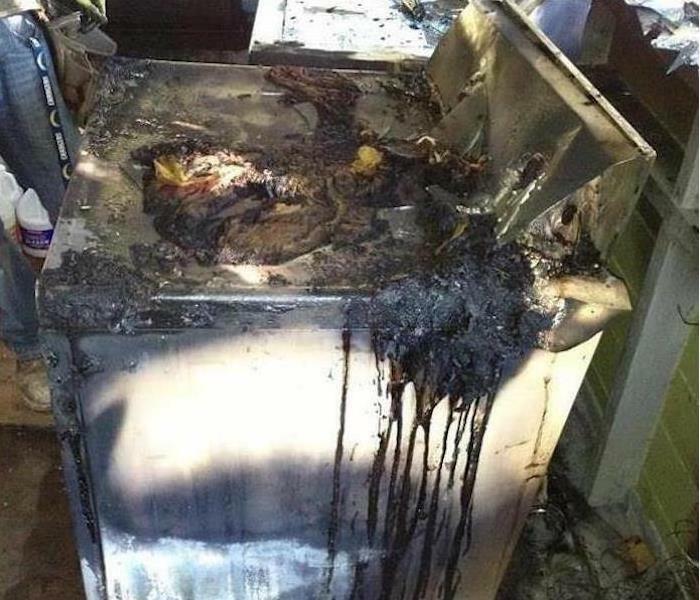 Fire damage at this Tarpon Springs Business began when an electrical fire broke out in a clothes dryer. 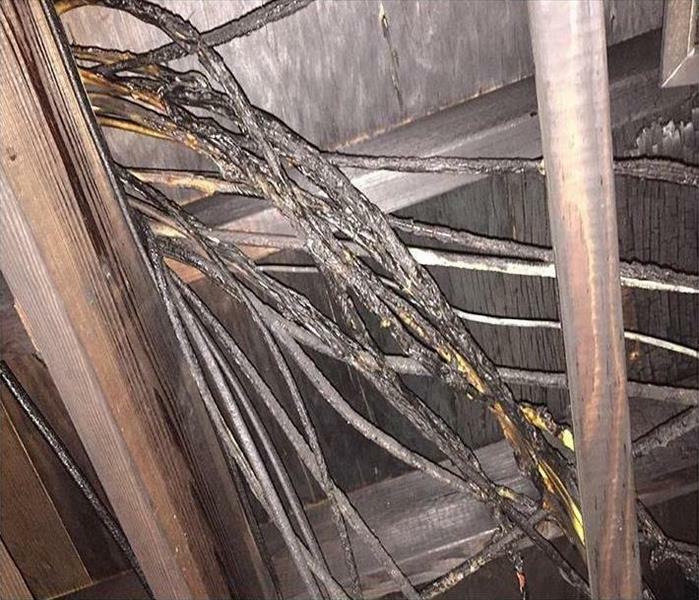 The fire was extinguished rapidly, but there was still a great deal of soot and smoke damage created by the fire. 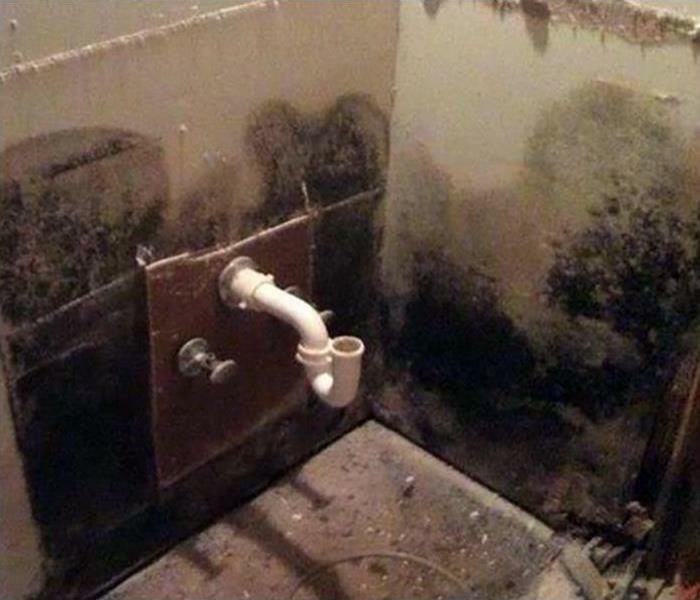 Mold damage at this Tarpon Springs bathroom was created by a slow dripping leak under the cabinet and the darkness of the space. 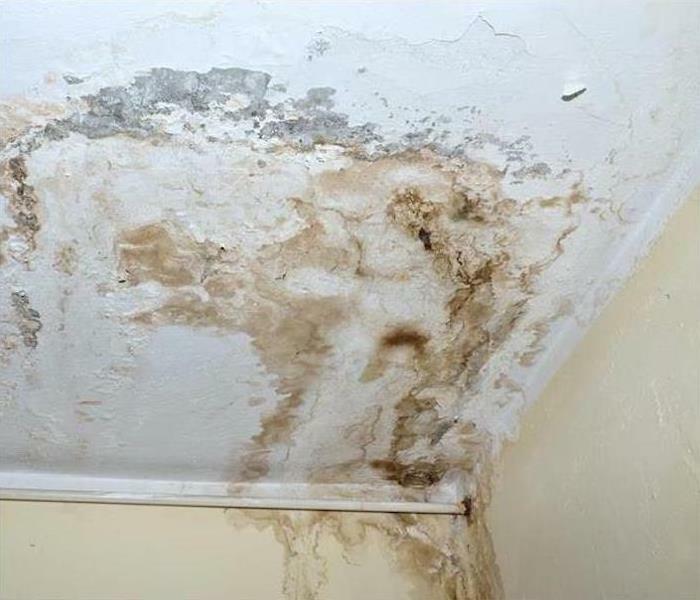 Moisture and darkness are the ingredients that lead to mold growth. 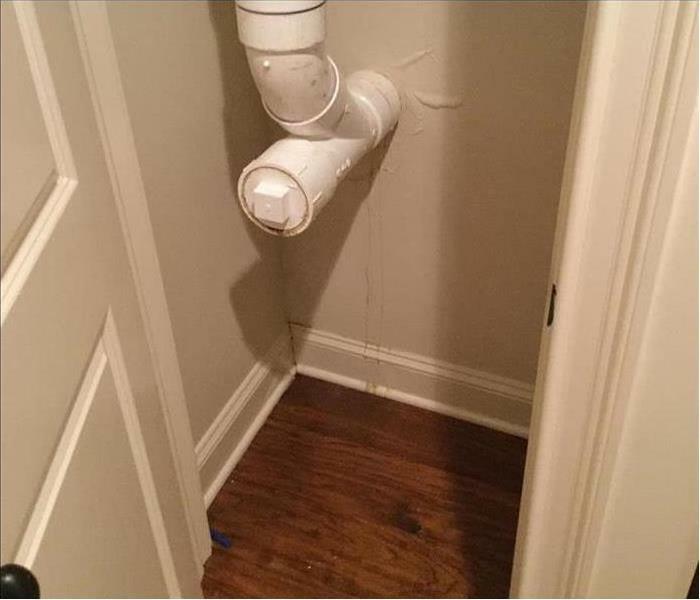 The water leak from the base of the commode flowed from the bathroom into this split-level bedroom. We cut out a section of the contaminated carpeting, suctioned up the dirty water, and sanitized the area. The landlord then planned on setting tile on the bare concrete pad. Storm damage in Tarpon Springs can affect multiple locations requiring substantial amounts of professional water damage mitigation equipment. SERVPRO of Tarpon has sufficient inventory of equipment and the required staff to service multiple locations simultaneously. The vapors from the stored gas containers in this garage led to a small explosion resulting in extensive fire damage to the building and the antique car. We cleaned out the wreckage before we could begin the fire damage restoration service. We isolated the garage to mitigate the migration of smoke, soot, and odors to the house. 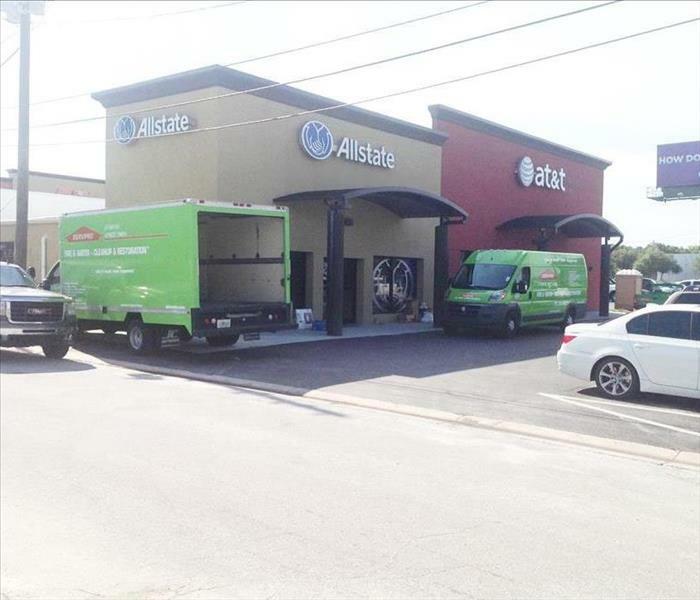 When a local commercial insurance agency had a water emergency, we arrived with two green vehicles within the hour to extract the standing water from the offices. The ERP, the Emergency Ready Profile mobile app, that we integrated into our client's emergency service with us, significantly mitigated the water damage. Fast and Effective, rely on SERVPRO for any mold, fire, or water damaging incident to your home or business. Mold damage at this Tarpon Springs home developed due to a leaky pipe. The leak was minor in nature and ignored for too long. 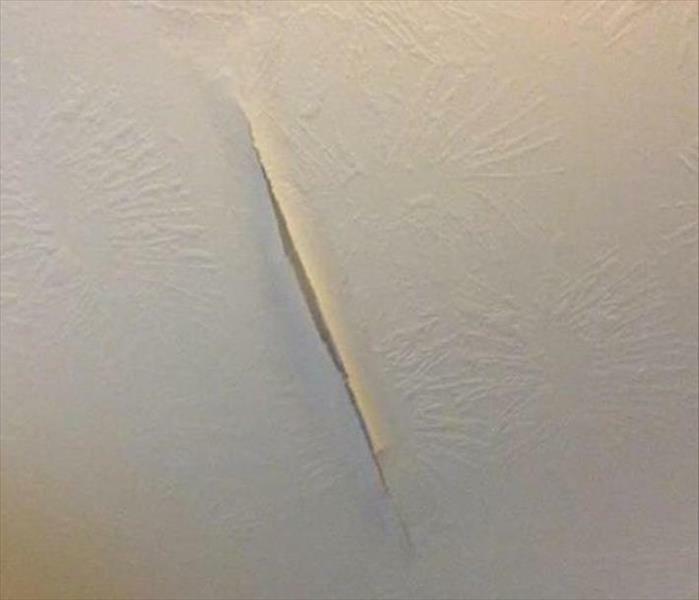 The leak needed to be repaired, and the ceiling and wall damage replaced. If fire damage impacts your home or commercial facility, call SERVPRO of West Tampa at (813) 855-0888. We proudly offer 24-hour emergency service, and we are equipped to deal with any size disaster. The supply line to the sink spewed enough water in this adjoining living room to ruin the carpet padding. 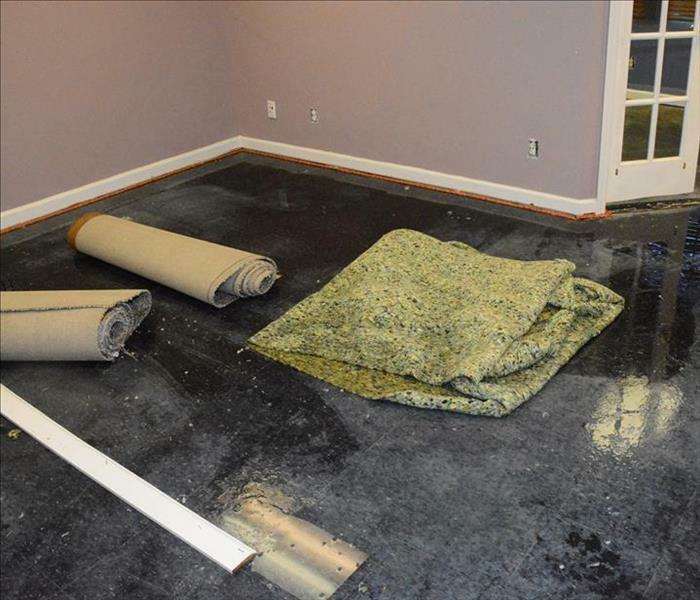 We quickly removed the carpet to another location to dry it out even as we worked on removing the water from this floor. A portable wet-vac did the trick, and after reducing the humidity the carpet was ready to reinstalled over a new pad. We strive to save our customers money by restoring items, even carpets, rather than replacing them.